Sunflowers seeds are the hard-shelled edible seed-like fruit of the sunflower plant. They are used as food, for poultry feed and as a source of cooking oil and margarine. The seeds belong to the species Helianthus annus of the family Compositae (Asteraceae) together with Tarragon, Chicory, Chamomile, Endive and Artichoke just to mention a few. 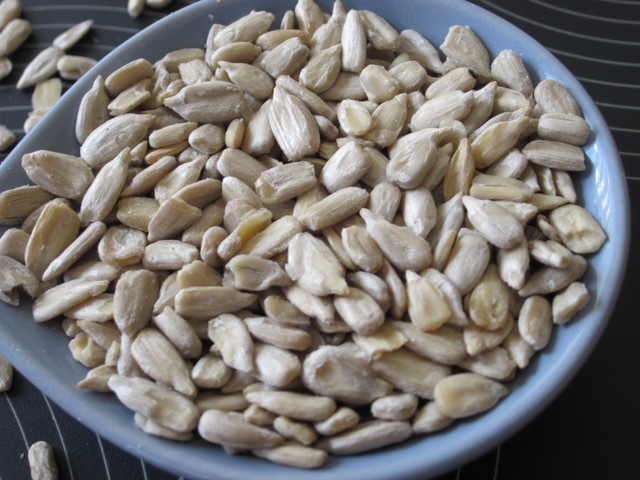 Here is a photo of whole sunflower seeds with their shells intact on the left, and a photo of sunflower seeds after they are removed from their shells. 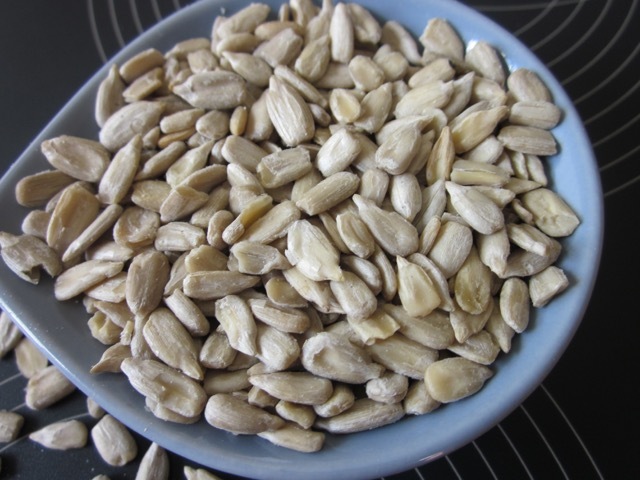 There are two cultivated varieties of sunflower seeds. The black and white one above is edible and is called confection sunflower seed; and the black shelled seeds are grown for oil. The oil is also used to produce margarine. Sunflower seeds are graded according to size. The largest are sold unshelled, the medium size are hulled and sold as roasted or raw kernels and the smallest size are used for bird feed. 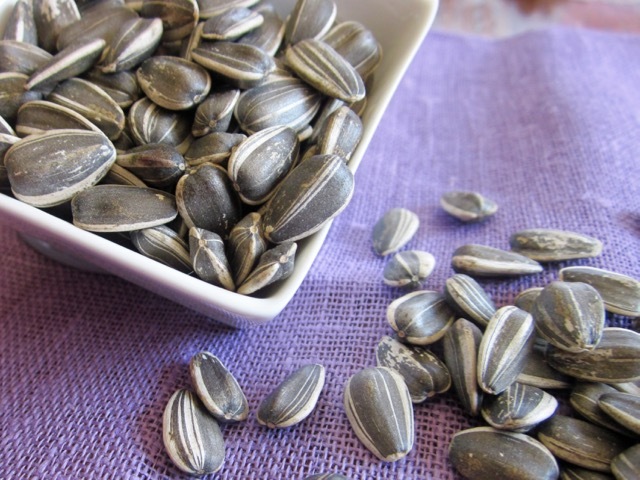 Shelled sunflower seeds are sometimes labelled as sunflower kernels or nuts. They are mostly roasted and used for snacking. They can also be added to salads or used as a garnish. You can also use them to make sunflower seed butter. The seeds with black shells are grown for oil production. Compared to pumpkin seeds, sunflower seeds are higher in calcium, thiamin, vitamin B6 and folacin, but they contain more calories and fat. I made it last week and have been spreading it on my bread whole week long! Next What is Melba Toast?